In this episode, we talk the recent World Cup Qualifying matches that the US Men's National Team took part it. After covering what we think of Bruce Arena's newly revived team, we cover the US Women's National Team and their friendlies played over the same weekend. There has been some manager news back in the Premier League, and since we already miss it the recently departed season, we get sucked back into the Premier League vortex. 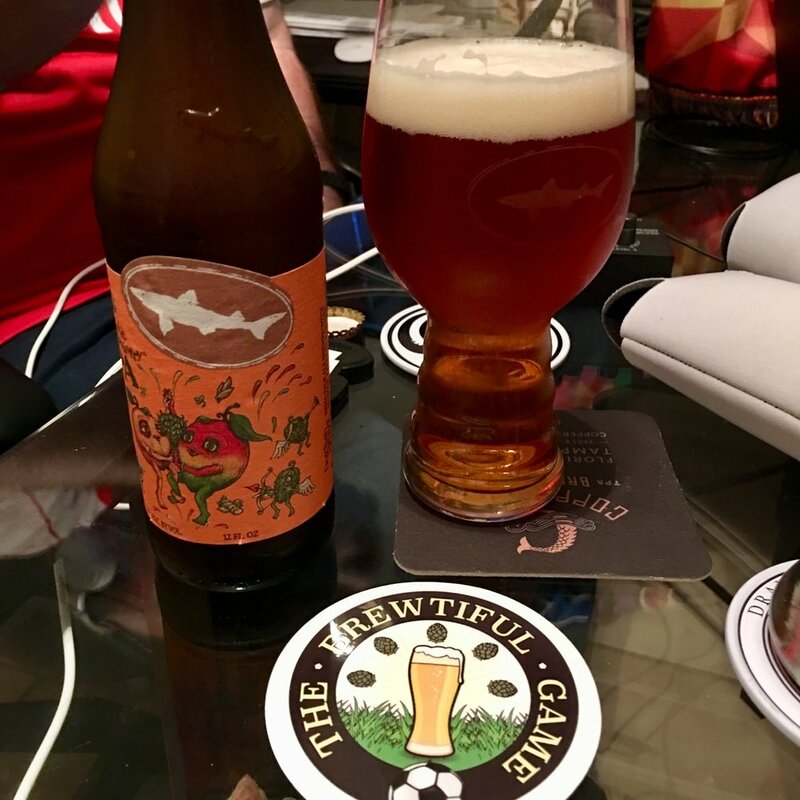 Blake had the beer pick for the pod, and chose to go back to one of his favorite breweries. It was a refreshing twist on an IPA from 21st Amendment Brewery. The Brew Free! Or Die Blood Orange IPA turned out to be quite the group pleaser. Thanks for telling your friends about the show, it really helps us spread the word. Subscribe to us on iTunes, and leave a rating and review while you're there. Cheers! In this pod special, we discussed the recent NWSL Draft, the recent founding of the North Carolina Courage, and FIFA & CONCACAF awards bestowed upon several of the players from the United States Women's National Team. The other big news to cover was USWNT stars opting to postpone their NWSL play (or leave the NWSL completely) for a chance to play in Europe. With Ron still under the weather, Ferris and Blake were joined in the studio by local NWSL and women's soccer expert Caitlin Elliott. Since Caitlin was visiting our studio live for the first time, she wanted to provide the beer of the pod. She picked a good one in Green Man Brewery's delicious porter. We had a lot to say about this beer.